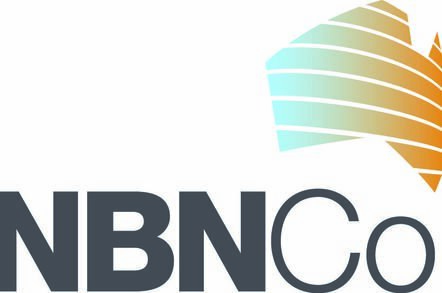 The National Broadband Network, commonly known as the NBN, is a project that is funded by the Australian Federal Government to provide homes and business with the internet. This project is targeting all homes and businesses as the country prepares to have large-scale internet connectivity. The project wants to connect the houses with a reliable and fast internet connection and eliminate all the myths and jokes that have been there about Australia’s slow internet. Apparently, the NBN is preparing to have a complete overhaul of the old internet in the country and replace it with new and reliable high-speed internet. The current internet system is characterized by old and outdated systems that don’t provide individuals value for their money. This explains why it is essential to replace the archaic system with a modern and supercharged internet connection. Australia is a geographically isolated country that can be bypassed by sensitive information about what is happening in other parts of the world. This explains why the government in conjunction with other private companies, is interested in installing a faster broadband network to increase connectivity within Australia and in other parts of the world. It also makes sense to increase internet connectivity due to the increasing usage of the internet among business and homes. Will We Get The NBN Soon? It all depends whether you have received any notification about NBN rollout in your area. If you have already been notified that the NBN is available in your streets, then you will be getting it soon. However, some homes and businesses have to wait for the program to arrive in their regions, which will definitely happen. The programmed is currently underway in various parts of the country, and very soon, it will be knocking on your doors. However, if you are highly interested in knowing when the NBN will be available in your area, you need to provide your address through the NBN rollout website where you will get the actual or estimated period when it will be available in your neighborhood. In the meantime, you can also be prepared by comparing different ADSL such as wireless broadband plans or cable among others. What is the Speed of the NBN? The internet speed provided by the NBN program is expected to be faster than what businesses and homes are currently using. Other determinants will impact how faster your broadband is. One of the factors that will influence speed is the NBN plan that you have selected and the provider. Secondly, congestion during peak hours is also likely to have a significant impact on the speed of your broadband. With regard to your plan, if you select the NBN 100 plan, you will be getting 100Mbs, which will be shared among all the people in the house who are streaming from the internet. The higher the internet plan, the higher the speed. Therefore, it is essential to understand the number of internet users in your house before determining and selecting your plan. Well, there are some factors involved. The National Broadband Network is a project funded by the Federal Government to replace the old and slow internet in the country. The government has provided sufficient money to cater for all installation services, which means that you will be getting it on a free. However, it is your responsibility to pay for the NBN plan that you will choose on a monthly basis. Your monthly NBN plan will determine the amount of money you have to pay depending on the provider you have selected and the speed you want for your home. Recent research about the price of internet plans shows that you should expect to pay a minimum of $55 and a maximum of $100. However, competition in the market is expected to push these prices down towards $40. Are there Complexities in Connecting to the NBN? There is no complexity involved. In fact, the process has been made easier by a team of technicians and experts who are installing fibers in every home. You will soon notice their presence in your neighborhood. The government is handling all the fiber, cables, and any other equipment including labor costs.